Heavenly blog! : No. 1212: Bjørn S Johansen represents the ugliest both within its Christianity and Calvinist doctrine! No. 1212: Bjørn S Johansen represents the ugliest both within its Christianity and Calvinist doctrine! Bjørn S Johansen represents the ugliest both within its Christianity and Calvinist doctrine! Have reasonable high ceilings, and try not to defame anyone. But I'll let you know, this could not tolerate this cheeky bear Storm Johansen. He now seeks to be a Lutheran without having first thought of John Calvin teach, or Calvinism is lying. Storm Johansen has tried to preach the deed as a livelihood, why this big change in him now. 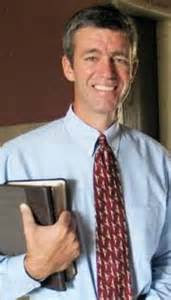 Image of Calvinists Paul Washer has been Bjørn Storm Johansen idol and certainly it's even !? Did not know who this Bjørn Storm Johansen before he began to write against me in the worst terms against me on the nefarious website Searchlight. It was such frivolous and ugly attack that course, no true Christian will bring. What I understood he hated me for was that I did not believe in the so-called traditional doctrine of the Trinity with the Holy Spirit as a person. Eventually I understood that he himself believed in the Calvinist doctrine and promoted these preacher who promoted this doctrine. What is the Calvinist learn about? Blue. so need than not evangelize or do something to other people. Urge them as the word of God says is an alien thought, when everyone is ordained either damnation or salvation. I did not attack bears Storm Johansen for his Calvinist doctrine, but for his behavior! I do basically today also, when it becomes so badly behaving carnal, arrogance and hatred which bear Storm Johansen has done in the few years I have shown who it is. Actually, it works of the Nicolaitans or learning, blended with Calvinist doctrine that bears Storm Johansen stands for.